We present you a complete list of our services that will successfully support and improve your supply chain. Why? Because each of them is based on the ability to adapt to your individual needs and is supported by many years of experience from Rotom. We believe that each of the following logistics solutions is support for your busines and is designed to bring certain benefits for your company and the of course to help protect the environment. The rental service provides flexibility and saves time and costs. All rented products are delivered directly to your company, and after the rental period we simply pick them up. 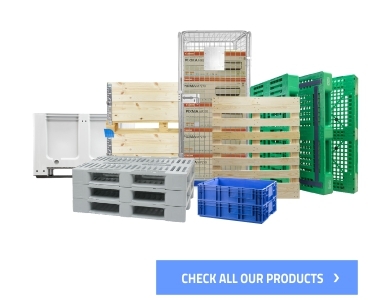 Choose our pooling service in which we select the right type of packaging suitable for your needs and comprehensively take care of their constant availability to ensure their effective use. Take advantage of returnable packaging recovery solutions. We can seal your transport system and recover packaging from ypur contractors, thanks to which you will reduce logistics costs. Thanks to our web application, you will have 24/7 access to all information about your packaging. Informations will be available to all the participants in the supply chain. We can design special packaging best matching your supply chain. We will advise the best solution and provide technical support at every stage of the project. Contact us for details. Returnable packaging needs regular repair and maintenance. Damaged pallets, containers or roll containers are serviced by our certified specialists and re-introduced into the supply chain. 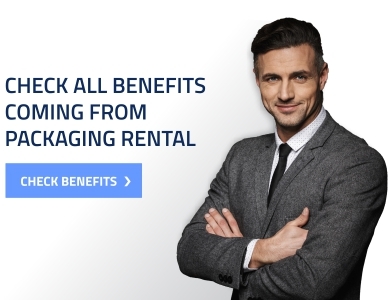 If you are struggling with overstock packaging or have damaged packaging and want to sell them, we can redeem it from you. If you want to sell your old packaging or replace it with new one we can help you. We will prepare a special offer for you, which provide a lot of savings.